Great Plains Audio was born out of the Altec Lansing corporation in 1998. It carries forward the loudspeaker design and manufacturing tradition that began with Western Electric in the early 20th century. Great Plains Audio is the only place where the legendary Western Electric/Altec Lansing sound reproduction technologies live on. We provide a wide array of professional grade loudspeaker components, including compression drivers, crossovers, and other transducers. Each component is carefully and meticulously handcrafted in the United States in our factory in Oklahoma City, Oklahoma. When you purchase components or repair parts from Great Plains Audio, you can rest assured that they are among the best in the world. Great Plains Audio continues the Western Electric/Altec Lansing tradition of providing the best available sound reproduction devices that are demanded by both professionals and audiophiles worldwide. Our famous 604 DUPLEX has been a favorite of recording studios and engineers since its inception in 1946. Over the years we have continually refined the 604 to meet the demands of digital and high definition audio. This is why it remains at the pinnacle of audio reproduction systems. The theater and sound reinforcement systems manufactured by Great Plains Audio are used by many famous musicians such as Carlos Santana and Rod Stewart. They have remained the standard for the Woodstock Festival since 1969. Great Plains Audio is the source for original parts and warranty service for Altec Lansing Professional. This includes all speaker products that were built through 2005. All products will be repaired using parts made from original tooling and materials, thus assuring that their performance will always meet original specifications. 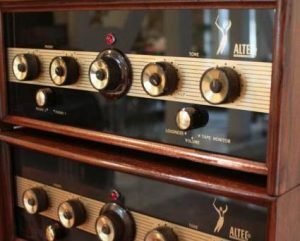 The history of the company we now know as the Altec-Lansing Corporation goes back to the World War I era. During the rush to get the “dough-boys” to Europe, it was decided that the traditional method of training a soldier to use a rifle, for example, was too slow. One man training another man, one-on-one, simply had to be eliminated in favor of a more rapid, and uniform method. It was decided that it would be a good idea to use the motion picture to do this, and so the first of the famous “Army Training Films” was born. Western Electric was there at the inception of this revolutionary concept. Someone in the bowels of the Western Electric Company – we will never know who – got the idea that if a moving picture could help the men learn how to use the Army rifle, one that talked could do it even better. Thus, the search to bring sound to the motion picture was born. Now, the Bell Laboratories had the BEST men in the world working for them at that time. Great men like Wente, Thuras, and so on. These men, and dozens like them, were put to the task of making motion pictures talk. The men of Western Electric, due to their background with the telephone, naturally sought to design and build a “loudspeaking telephone,” as they were called, that would do the job. the result was a large, single transmitter mounted on a curving, single horn. It worked. 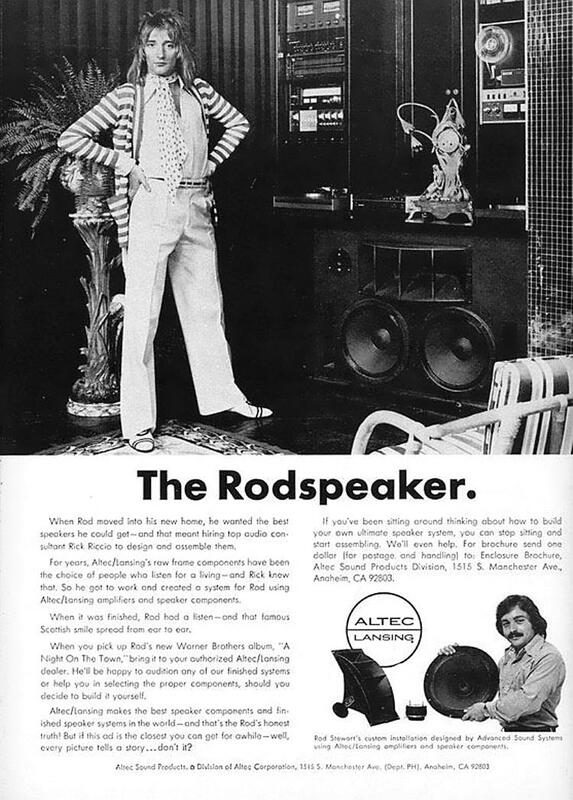 Contrary to the advertisements run by JBL over the years, it was Western Electric that first edge-wound copper ribbon for the voice coil of a compression driver. The 555 driver manufactured by W. E. also used the first annular slit style of phasing plug later attributed by JBL aficionados to James B. Lansing. With the advent of talking motion pictures, Western Electric inserted itself into the new medium with the full force of the powers and money of the telephone company and research facilities of Bell Laboratories. They soon dominated the marketplace, as well they should have, for theirs was THE BEST equipment at the time. Early systems employed the now-famous 555 compression driver (left), coupled to a curved “Theatre” horn. This provided acceptable frequency response and high efficiency – something needed in those days due to the cost of audio amplifier power.